“When she saw me, she came running to hug me and said that I was beautiful, and I told her: 'Today I'm beautiful like you!'." We hear so many awful stories of bullying in schools -- but seldom ones with a happy ending like this. 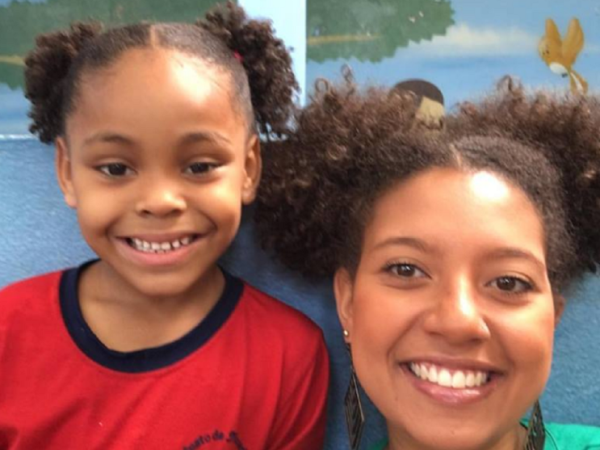 Ana Barbara Ferreira, a teacher from Sao Paulo in Brazil, wore her hair in the same style as one of her students, after the little girl was bullied because of it. The pupil had her curly hair parted and tied in two cute little bunches when another boy in her class told her that her hair was ‘ugly’. “In that moment, the only thing I could tell her was that she was wonderful and that he didn’t know what he was talking about,” kind-hearted Ana wrote in a Facebook post, which featured a picture of her and the youngster, both with similar hairstyles. And the little girl was ecstatic when she saw her teacher’s hairstyle. The heart-warming post was liked by more than 148 000 people and shared over 30 000 times.